MENDON, Mass. /Massachusetts Newswire/ — Southwick’s Zoo recently opened for the season, and has been bustling with visitors ever since. Do you prefer to visit the zoo when it is less crowded? On Saturday, May 17th, members of EARTH Limited, an environmentally-conscious non-profit located inside Southwick’s Zoo, will have the opportunity to visit the zoo at no cost from 6 to 8 p.m. Friends of members may also attend for a fee of $15 for adults or $10 for kids. Each year, members of EARTH Limited are treated to a number of benefits simply for being a member. This event gives visitors the unique experience of being among fellow members who are committed to helping animals and their environment. Another advantage of an after-hours zoo trip is that some of the animals are more active in the evening. For example, lions sleep about 17-20 hours a day and are nocturnal, so you have a better chance of seeing them on the prowl after hours. “EARTH Limited operates inside Southwick’s Zoo, but it’s a separate, non-profit organization that works to educate the community about environmental issues. Our members are some of the biggest contributors to EARTH, so we like to give back to them,” said Betsey Brewer, Executive Director of EARTH Ltd. Becoming a member of EARTH comes with a number of benefits. Along with the special members-only events, members of EARTH also receive unlimited visits to Southwick’s Zoo for the year, access to behind-the-scenes tours, discounts on Wild Adventure Summer Programs for kids, 10% off in the Purple Peacock Gift Shop, and more! The Welcome Back event will be held at Southwick’s Zoo, located on 2 Southwick Street in Mendon, MA. Visit http://earthltd.org/ to learn more about becoming a member. 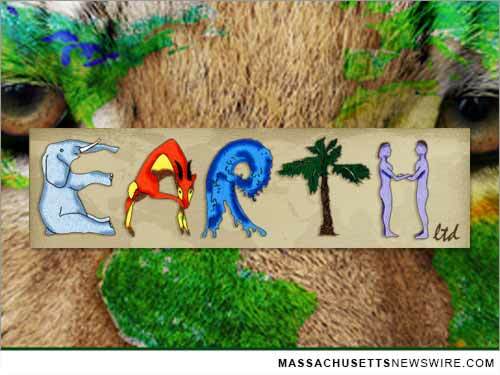 EARTH (Environmental Awareness of Resources and Threatened Habitats) Limited is a grassroots, non-profit educational organization located inside Southwick’s Zoo on 2 Southwick Street in Mendon, MA. To learn more about how you can support EARTH Ltd., please visit them online at EARTHltd.org, facebook.com/EARTHLimited.